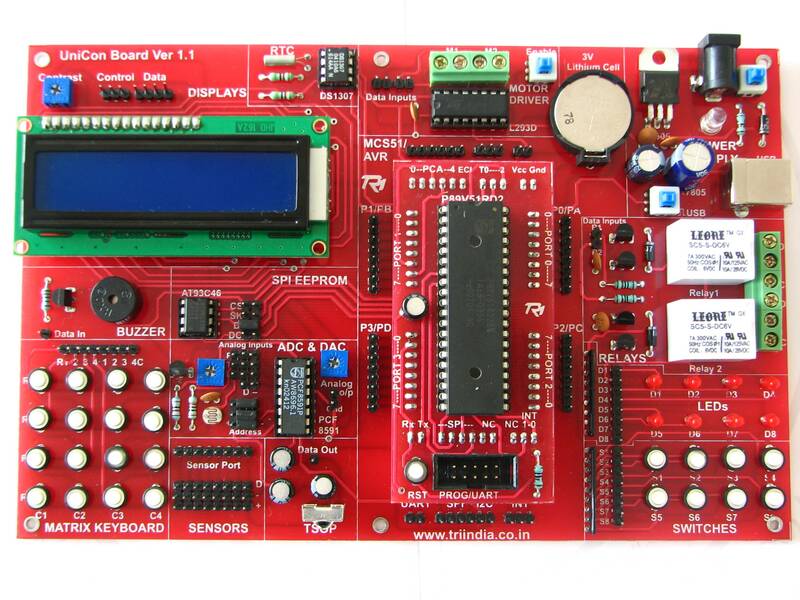 India’s first Microcontroller Trainer board which supports all three major series (MSC51, AVR, PIC) of Microcontrollers. This one was a developed by closely studying all the microcontroller and microprocessor trainer boards available in the Market. I tried to get all that you ever need to program using a microcontroller on this board. Try different protocols (SPI, I2C, UART) or play around with actuators (Motor Drivers, Relays and Servo Ports on Board). If thats not all, try using IR Remote control and Real Time Clock. You name the feature and I bet we have it on board. This was my last project at TRI and I hope people like it. This was also my first individual project, and was responsible for all parts of it right from conceptualization, designing, market study, programming and testing and finally documentation and course designing (XERA) based on this board. 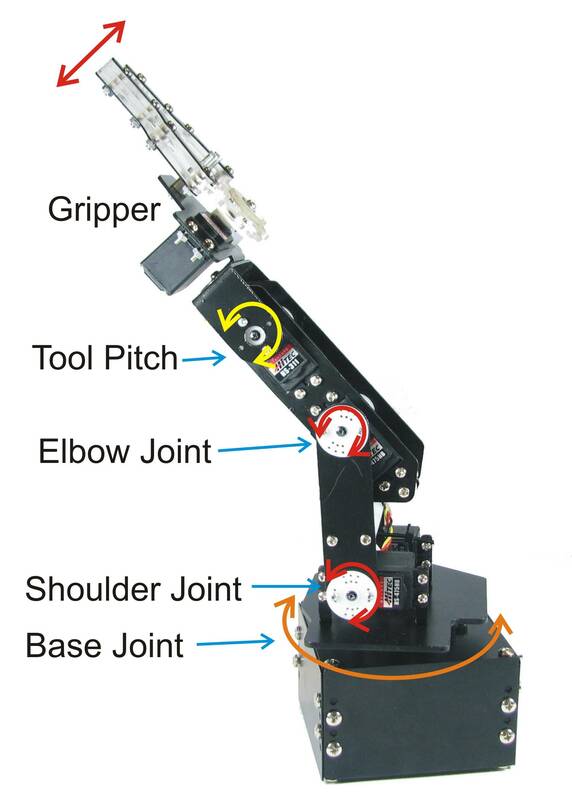 iARM is a 4-Axis (iARM-5X is 5 axis) RRR Robotic manipulator with Pitch (& Roll in iArm-5X). 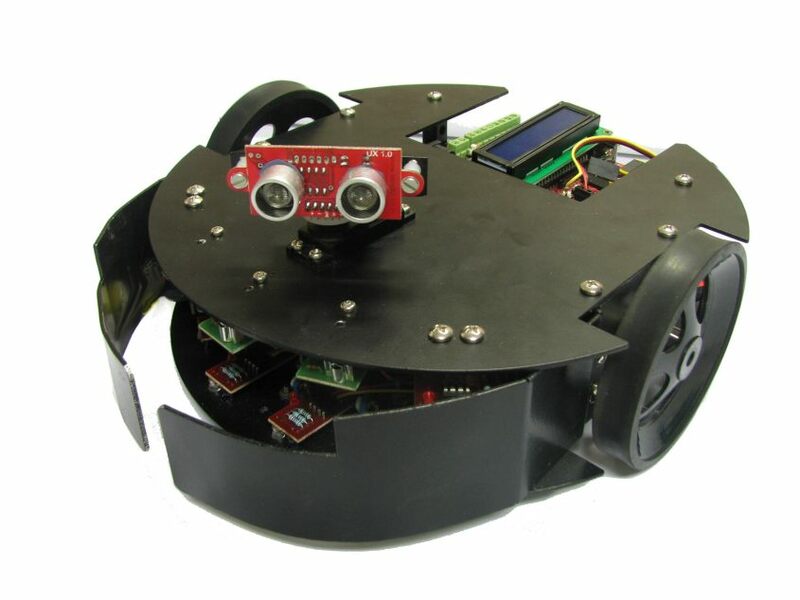 It was deleloped to serve as a LAB tool for performing Robot Kinematics and Workspace analysis. It is accompanied by a GUI (TRIceps) which allows the user to vary all angles and provides user with the end-point location or gripper position. The iARM-5X can also perform Inverse Kinematics and also can display workspace of the robot. Both iARM 4 and 5 axis use RC servo motors forthier joints. iARM is my most beloved project ever. It started almost 8 months before I joined TRI but was shelved due to lack of resources and knowledge. It was a challenge thrown at me and I am glad it completed it with charm. I am totally involved in this project right from designing to marketing. It was a very great satsfaction to sell the very 1st iARM I made to my own university K.J.Somaiya COE :). Best learning experience ever. The most expensive product in TRI’s offering. Finally after months of brain-storming, designing, building, programming and manufacturing the iBOT proV is out for a grab. Make a robot, a home security system or a vacuum cleaner, the iBOT proV is a truly versatile programmable multi sensor system. The aim for building this was to make a perfect platform for learning Mobile Robotics, Mechatronics and Embedded systems. 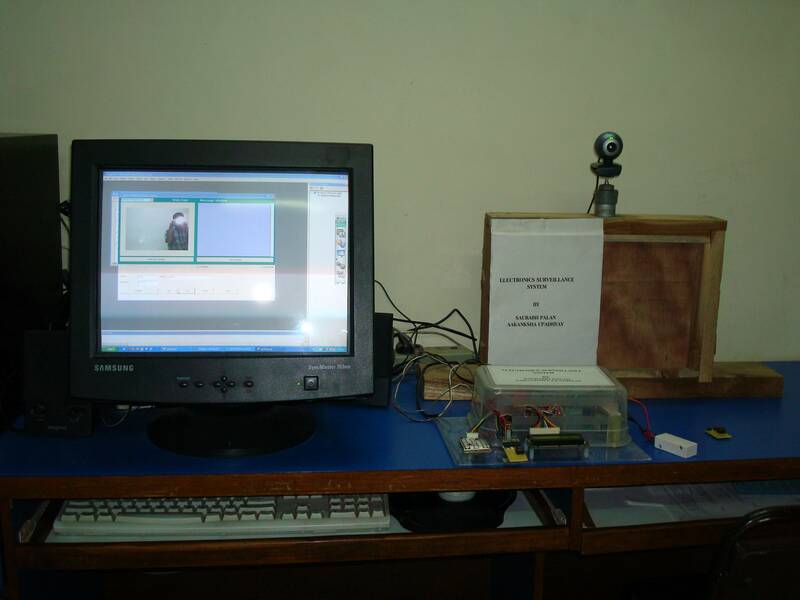 An electronic surveillance system, my final year engineering project (Senior Design Project). The project was undertaken by me and Aakanksha under ONGC (Oil and Natural Gas Corporation),one of the largest oil and gas (Exploration and Production) public sector Company in India. The purpose of the project involved providing complete foolproof security of the process facilities and data room in terms of physical security.